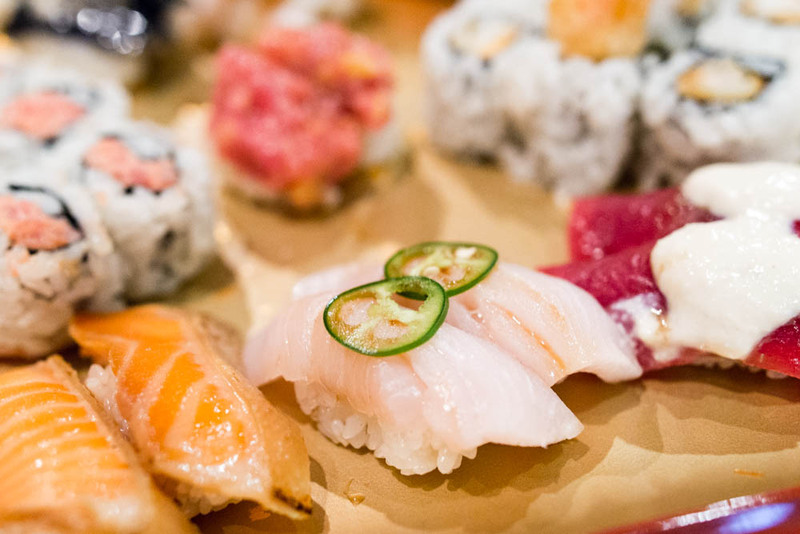 There aren’t many good sushi spots in Chelsea, a major deficit if you ask me. 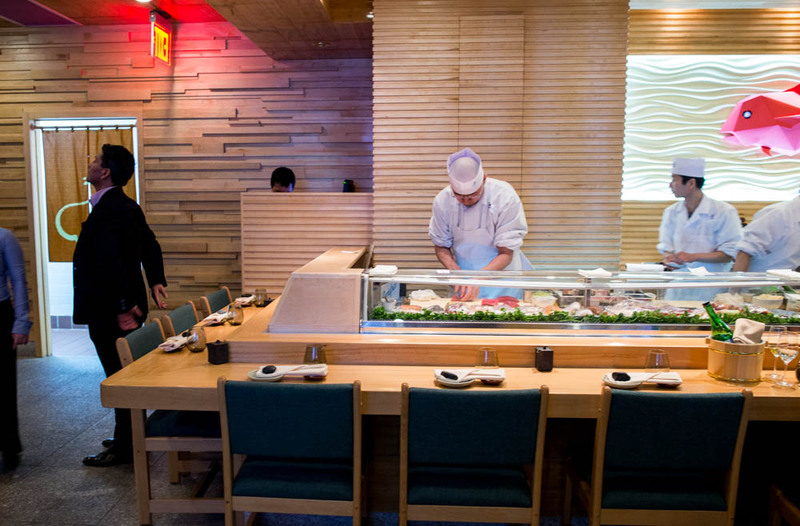 I like Momoya but just one look at the line out the door will make you think twice about having sushi for dinner. 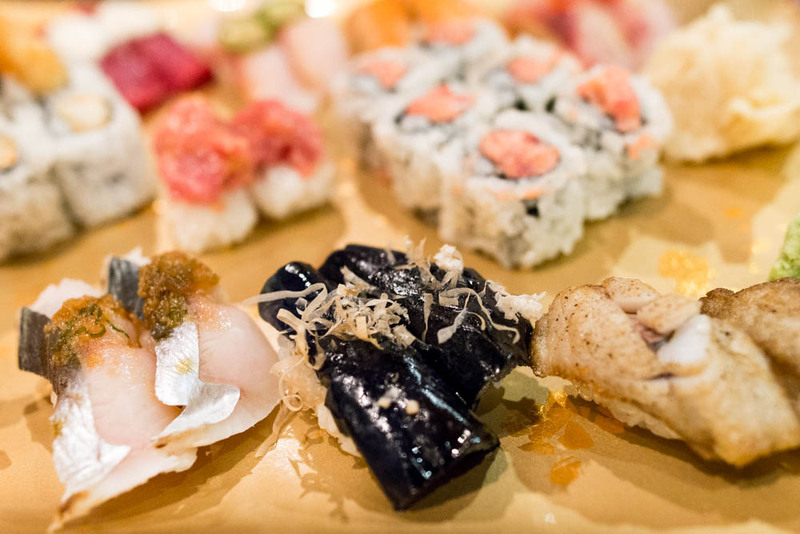 Such was the sad state of sushi in Chelsea until Sushi Seki, a well known Upper East Side favorite, decided to settle down in the neighborhood and brought the game to a whole new level. Located between a sports bar that has been there forever and another favorite of mine, The Doughnut Plant, Sushi Seki sports a very modern minimalist look inside and out. Another sign of a place that takes sushi seriously if you ask me. And a negimaki roll with a sweet soy glaze are good ways to start a meal at Sushi Seki but I highly recommend saving your stomach and money for the sushi instead. 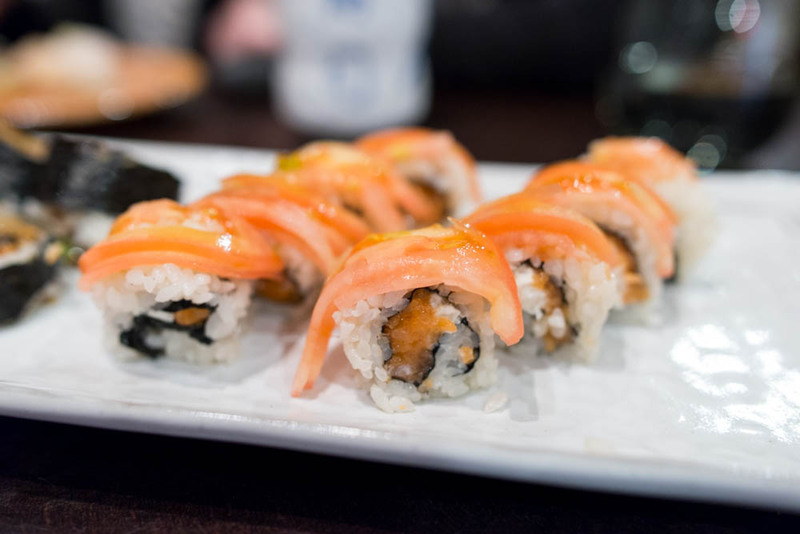 And a salmon roll with tomato slices on top. 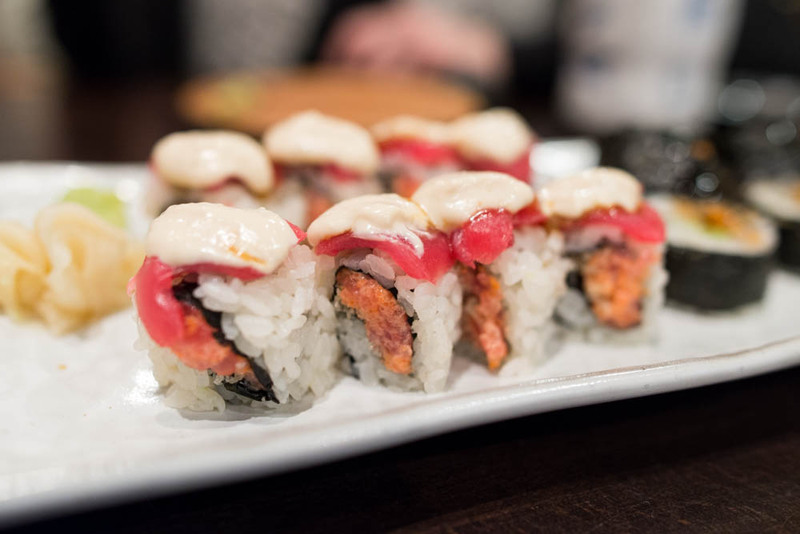 These three rolls go a long way for two people or a great start for three to share. 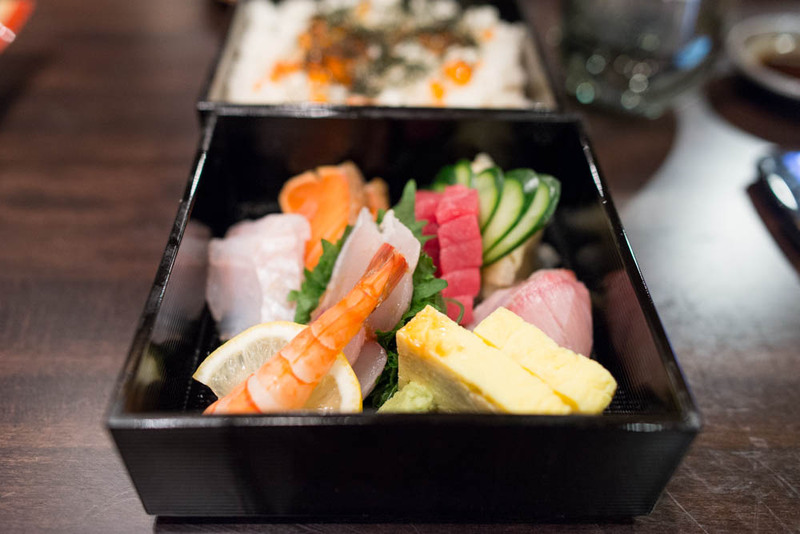 The chirashi bowl is always a great addition with simple beautiful pieces of fish in a lacquered box with a side of fabulous sushi rice. 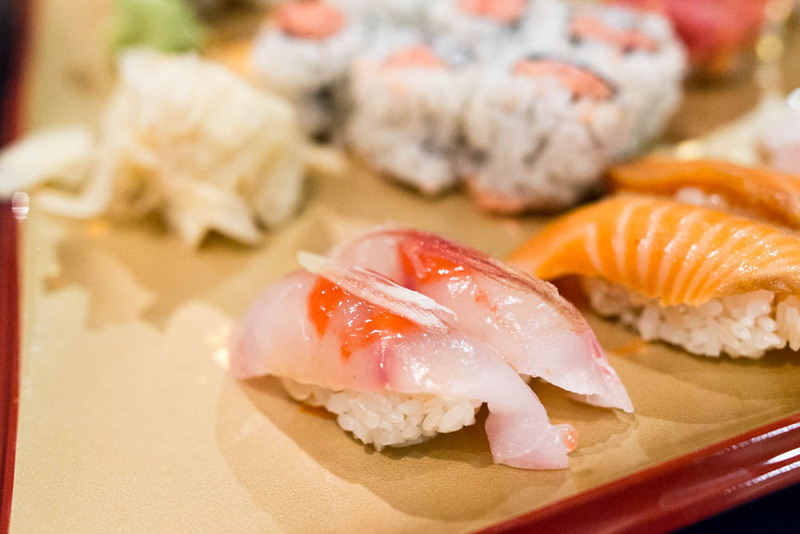 If you are more in the mood for some more classic and subtle flavors, I highly recommend the sushi set for 2 which comes with 9 pieces of nigiri and two rolls. 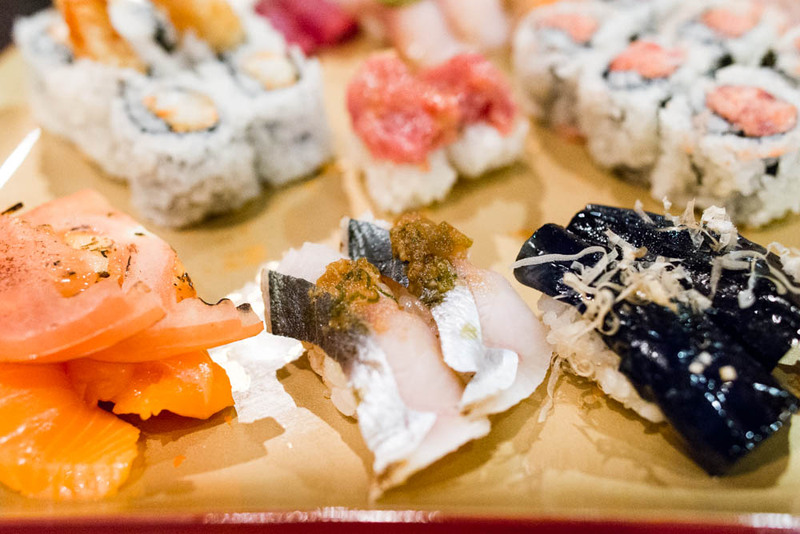 This platter gives a great sampling of some of the best of Sushi Seki, including their salmon with torched tomatoes – an unusual combination of hot and cold that is unexpected but absolutely fabulous. 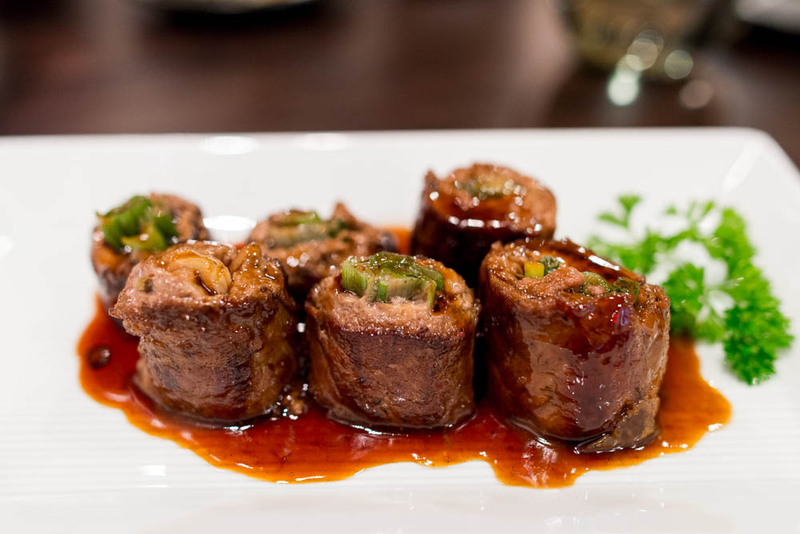 The surprising hit of the platter was a piece of marinated eggplant nigiri, flavorful and meaty without any hint of eggplant. 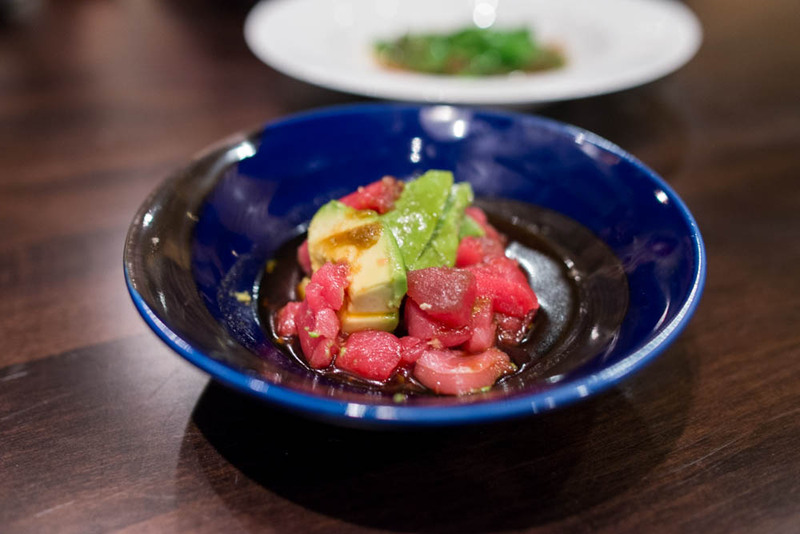 Two of my favorite bites are the finely chopped buttery toro and light hamachi with jalapeno. 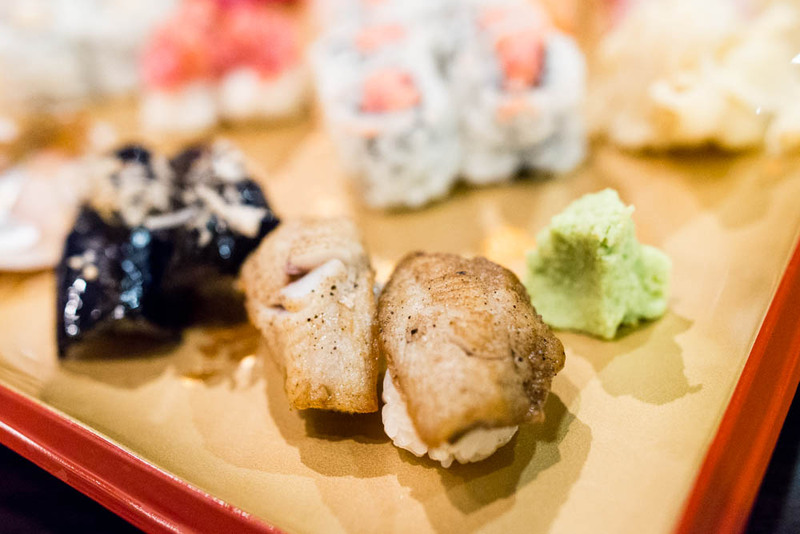 Another memorable bite is the lightly ginger scented snapper. The flavor is subtle and fantastically refreshing. 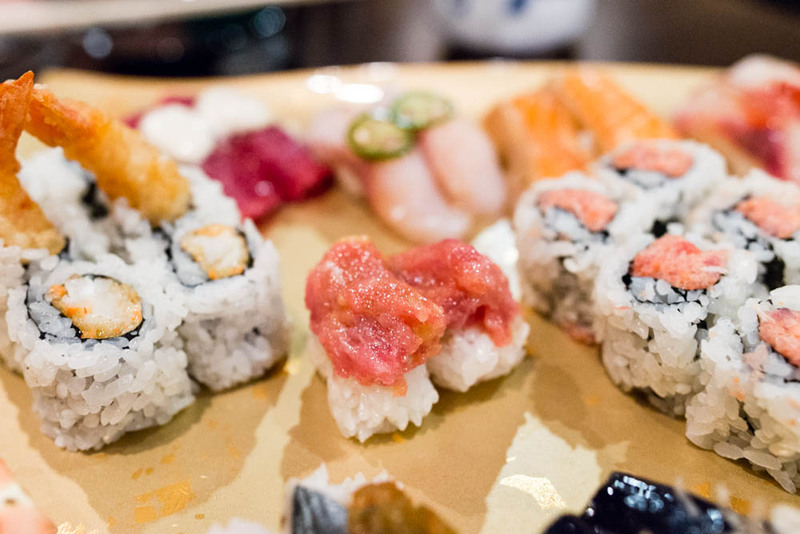 Of course, in addition to the tuna with tofu sauce and salmon with tomatoes, there are a few other rolls that you must order at Sushi Seki in addition to either the platter or the Three Golden Flowers rolls. 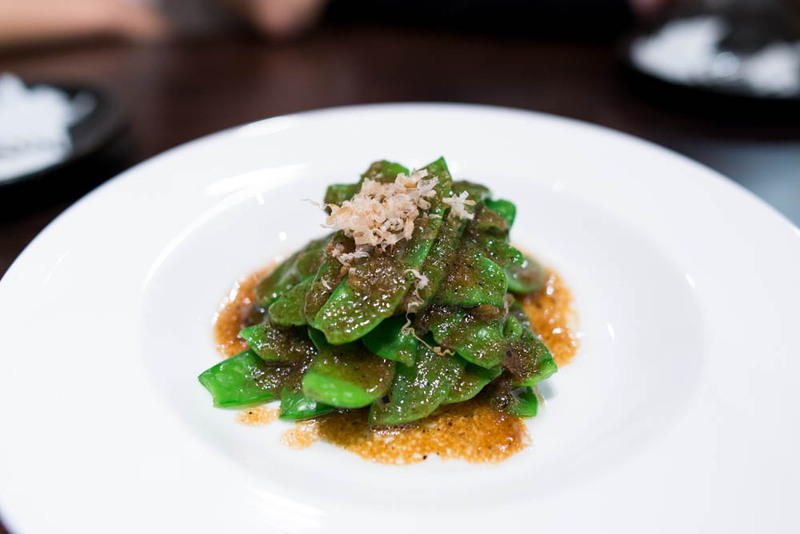 Don’t bother looking for them on the simple menu – instead pointedly ask the waiter. Be specific, they will know what you are referring to even though it might take a few tries. 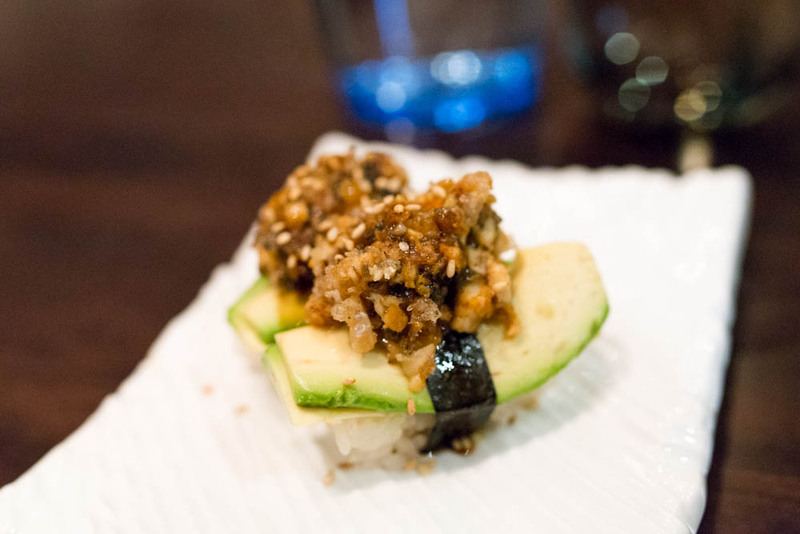 For the eel lover, the hand chopped unagi on top of creamy avocado is a must. 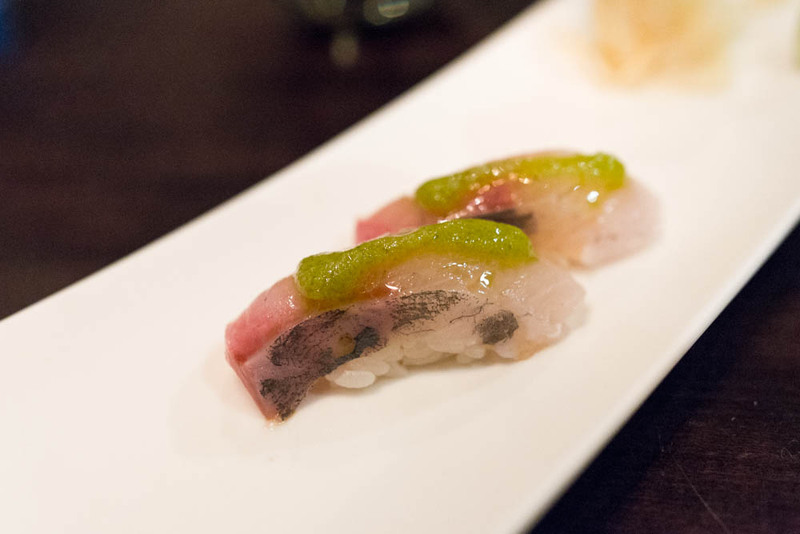 And for those who are fans of a little bit of spicy, the hamachi (baby yellowtail) with jalapeno sauce is hits the spot. The jalapeno sauce does not overwhelm the sweetness of the hamachi and starts off herbaceous fading into the background seamlessly. 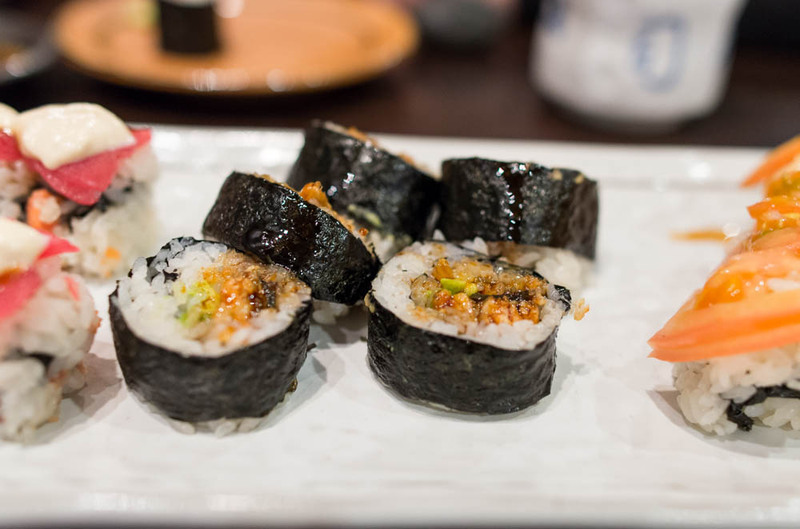 And of course, a hand roll is always a great way to end any sushi meal. 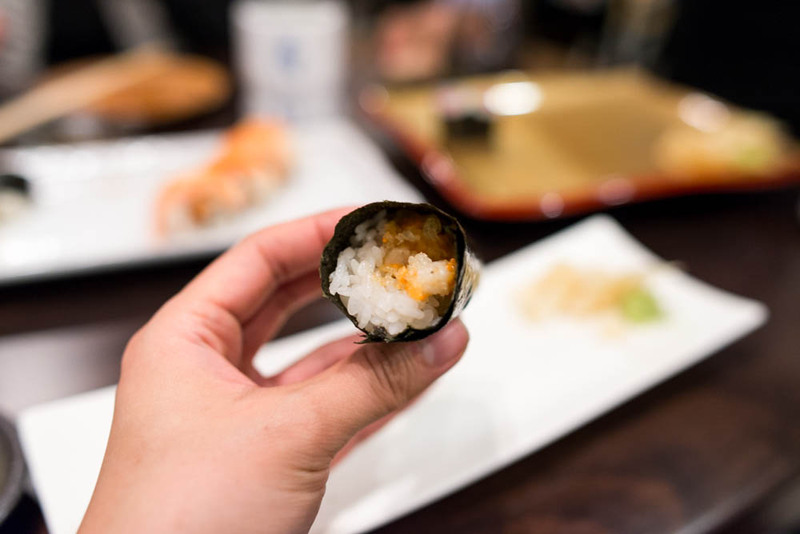 The spicy scallop roll here is a signature and must be eaten right away in order to keep the seaweed nice and crunchy. And for dessert? I haven’t really had much room after my meals here but for some reason, I do magically find room the second I step out the door and find myself next door in line for a doughnut at The Doughnut Plant. Slowly but surely, the 23rd street block between 7th and 8th is becoming one of my favorite blocks in Chelsea.